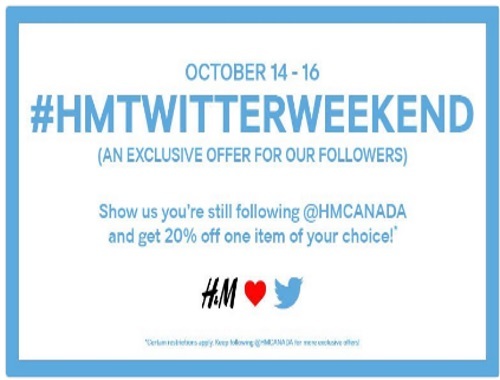 This weekend H&M is rewarding their Twitter followers with 20% off! Show the cashier that you're following H&M on Twitter to get the discount. Save 20% off any one item of your choice. Offer is valid October 14-16 2016.